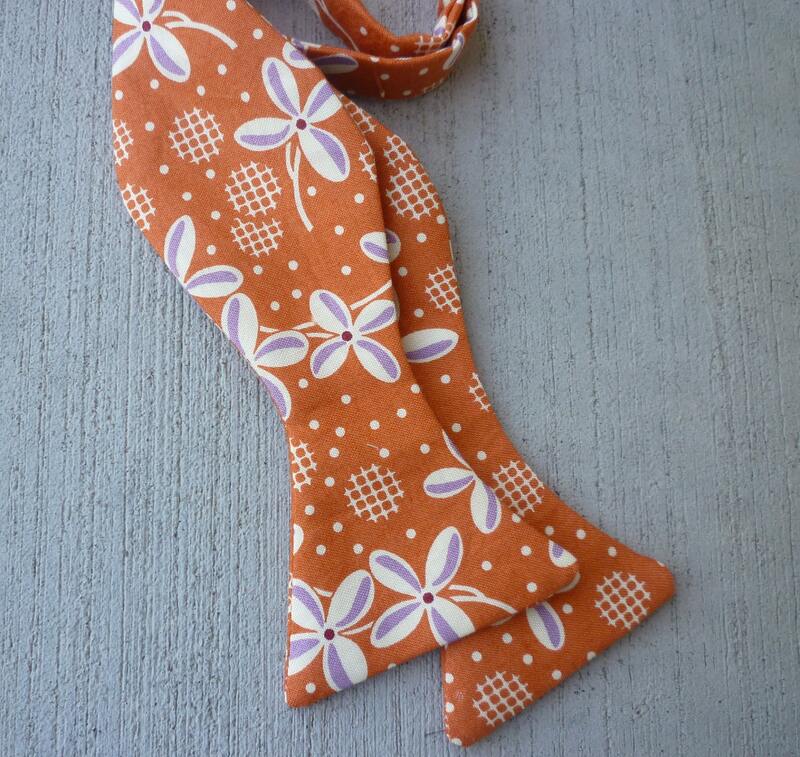 Stunning bow tie with a creamy orange background with with flowers accented by a soft purple. 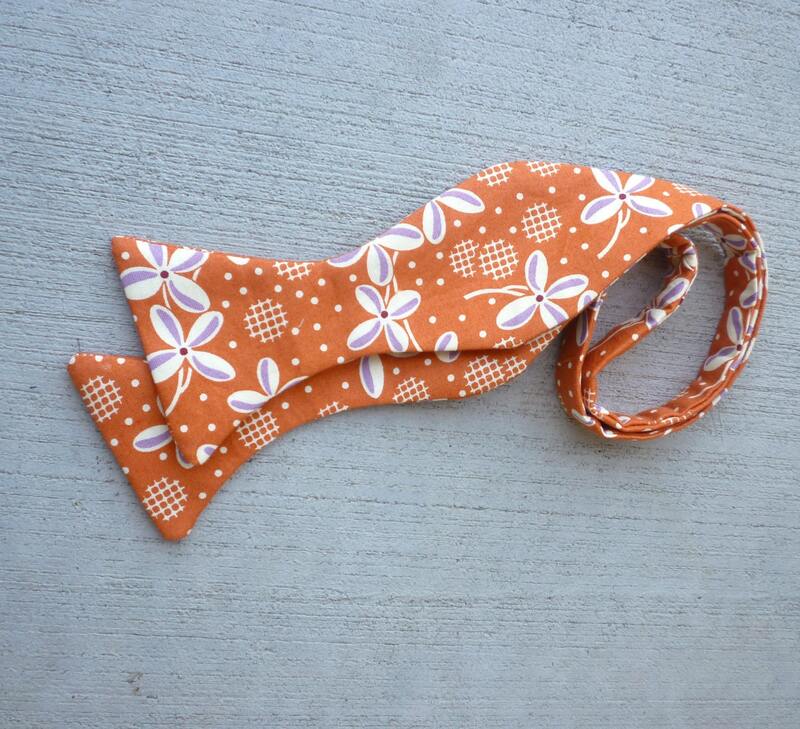 This is the perfect bow tie for a wedding! TStylish bow tie for a true gentleman. Available in different styles to fit any budget.